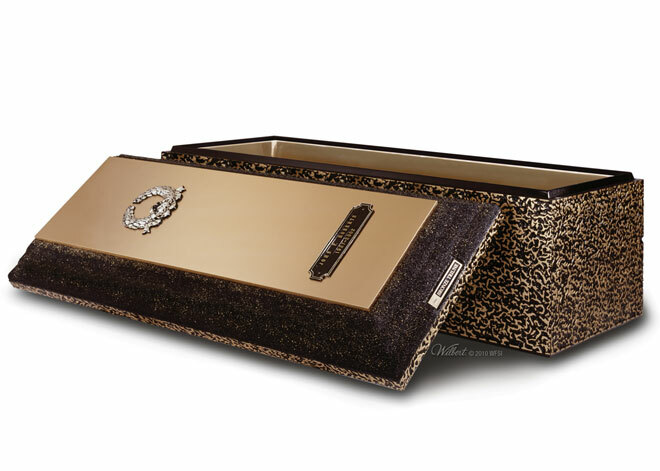 Burial and cremation vaults are lined units that enclose the casket when it is placed at the gravesite. 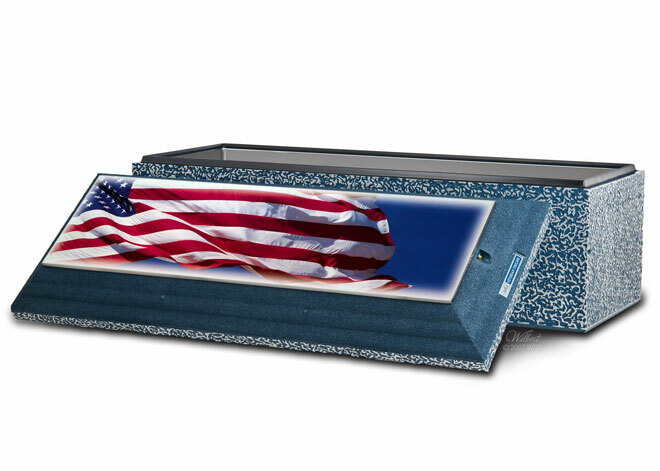 They are designed to prevent the weight of soil and heavy equipment from damaging the casket. There are no laws that require the use of burial and cremation vaults, however cemeteries often require their use as it reduces the chance that soil over the grave will settle and thus helps with general gravesite maintenance and the overall appearance of the cemetery. Most Montana cemeteries now require the use of burial and cremation vaults. Graves are no longer opened by hand using a shovel. Today, the backhoe, which weighs in excess of six tons, is the machine used for most grave openings. The weight of the backhoe, the daily grind of cemetery landscaping and grounds maintenance equipment and the constant forces of the soil pressure reinforce the need for casket or urn protection. 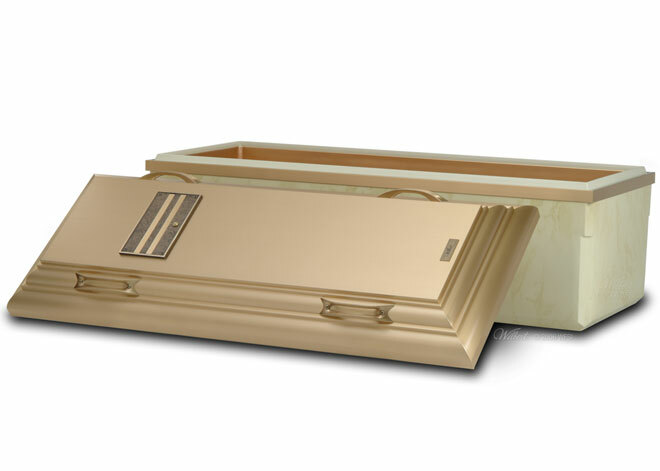 The burial vault is designed and constructed to withstand the forces that would otherwise act upon the casket, this avoiding ground shifting and damage to the casket. 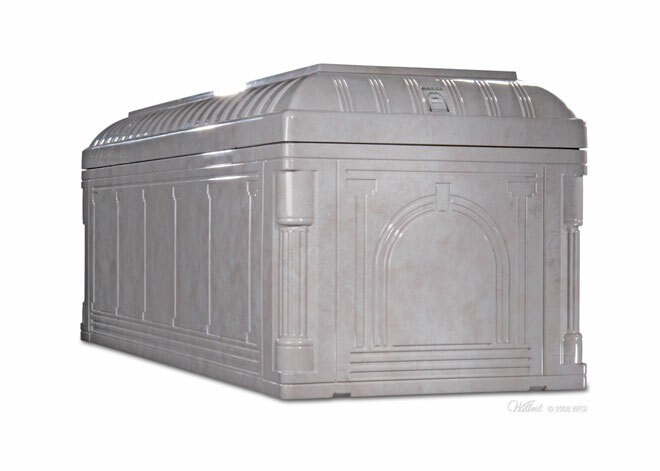 Burial and cremation vaults are available in a variety of materials including fiberglass and concrete. Concrete vaults are made of reinforced concrete and are available in many styles including undecorated concrete finishes, metal wrapped tops and interiors, and simulated wood grain or natural stone finishes. Concrete vaults can typically weigh more than 2,000 pounds and can require additional costs for transport and placement. 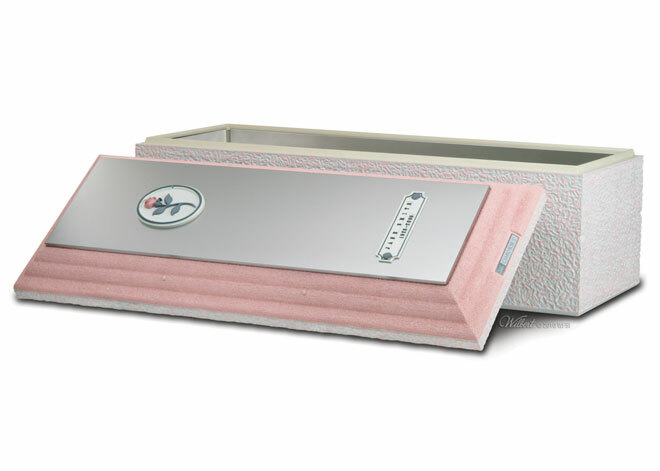 Vault styles are available that can be personalized to help honor your loved one. Shown on the right is a single-reinforced burial vault, made from concrete with a premium, plastic-reinforced cover and base. 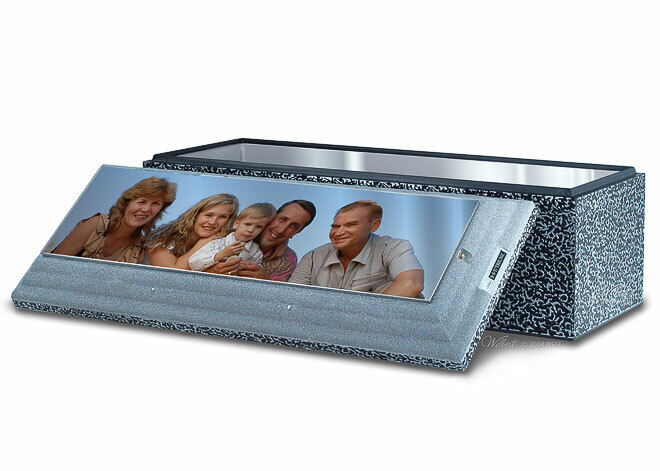 This vault is air-tight and will protect the casket from all outside elements.